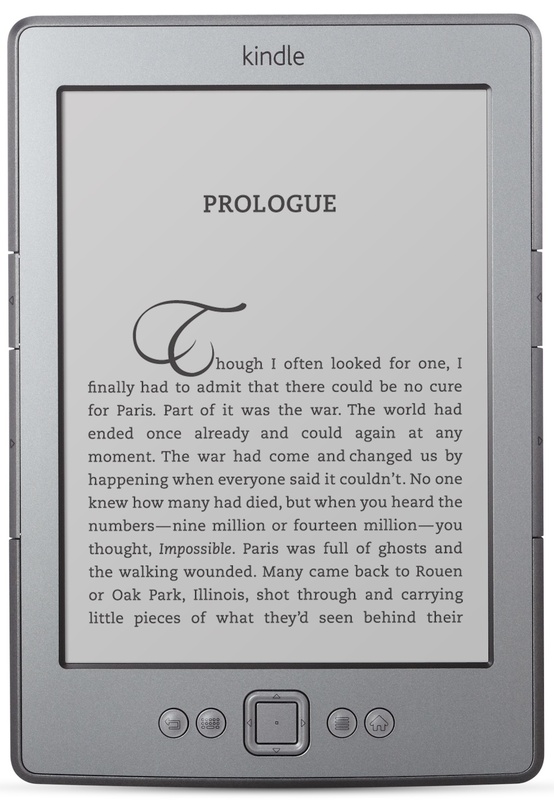 Reading with an e-reader (Kindle, Nook, etc.) is more and more popular today. And I have to admit that it’s a very convenient way of storing and reading books. It’s great to have so many books right at your fingertips. You don’t have to lug volumes around with you. They are easy to use and lightweight. A little over a year ago I broke down and bought a basic Kindle. I mainly wanted to use it to read books that I was able to receive to review and also the many classics and resources you can download for free. I was excited and started my adventure by even designing my own cover for it from an old hardcover (ripping out the pages, etc.). I dove headfirst into my new Kindle. But to be honest, I found that I was missing holding and reading a real book with a cover and pages. I don’t know what it is but I just don’t feel like I’m reading a book when I read a screen. I can even underline in an e-reader but it’s just not the same as underlining in a book. And then when I’m done I can’t pass on the book to a friend or give it away to someone who could appreciate it. After all, there is just something about holding a real book in my hands and turning the real pages and also having it on my shelf. Maybe it’s silly but that’s much more comfortable for me. So now my Kindle sits on my desk unused for weeks and even months at a time. I pick it up and it’s dead because I haven’t used it since May. Oh well. I don’t feel guilty because I love my books and in my mind e-books are not really books. I wonder if anyone else feels the same?